Khao Lak is a small town but it offers a nice variety of bars and clubs to fulfill your night life entertainment needs. For example you will find the popular Gecko Bar in Bang Niang, near the night market. Our friends Lynn and Black run this small but lively establishment. Around the corner, you find Moo Moo Cabaret, with it’s lively show of ladyboys lip-syncing and dancing to famous songs. It’s light-hearted entertainment for the whole family. Thailand is famous for it’s beautiful ladyboys, or ‘katoeys’. They are transsexual women or effeminate gay men. The Thais accept them as a normal part of Thai culture. Another option for night life entertainment is live music. You can listen to live music in a few establishments in Khao Lak. In the Nangtong area visit the Happy Snapper. Or later in the night, make your way to new Build Factory Night Club. 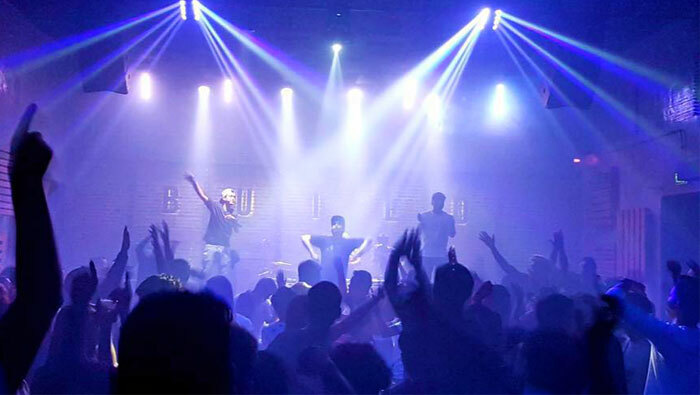 They have live music every night and it’s the biggest (and only) dance club in Khao Lak.